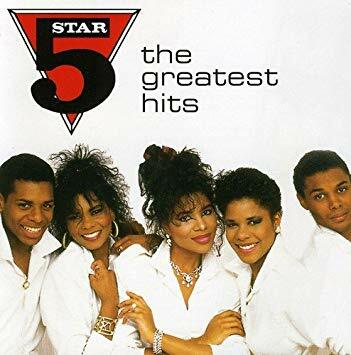 The R&B vocal group Five Star had seven top ten hits in their native England in the mid-80s. Can't Wait Another Minute was their biggest international hit. 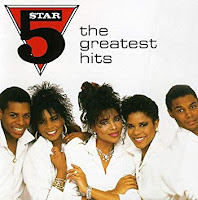 Five Star was Stedman, Lorraine, Denise, Doris and Delroy Pearson from Romford, Essex, England. Three girls, two guys. Their father Buster Pearson was born in Jamaica and he moved to England in the 60s. He was mainly a sideman for reggae artists. He managed Five Star and he started Tent Records in 1982. The 1983 single Problematic got them a record deal with RCA. The 1986 single System Addict from their 1985 debut album Luxury Of Life was their first top ten hit in England. They also had success on the US Dance and R&B charts. This continued with the 1986 album Silk & Steel. There were five British top ten hits from that album including Can't Wait Another Minute which reached #7 on the British singles chart. And at #41 it was their highest chart position on the Billboard Hot 100. The song was written by Paul Chiten and Sue Sheriden. Chiten also wrote the arrangement. The song was first recorded by the shortlived group The Lewis Sisters led by veteran British singer Linda Lewis. The record was produced by Richard James Burgess who had just had great success with Spandau Ballet. Denise Pearson was the lead singer. She sang lead on most of the album. The guitar solo is by legendary session musician Paul Jackson Jr. The family bought a big house complete with recording studio. Things went south for Five Star when for the 1988 album Rock the World they went from their squeaky clean image to wearing leather jackets. They tried for a more adult musical sound too. They were forced to sell the house and Five Star left RCA for Epic Records. Epic dropped them after two unsuccessful albums. This budget comp covers the RCA years. Also they were forced to move to the US after Stedman Pearson pled guilty to a 1990 public indecency charge. They returned to England in 2002. Five Star is still around. Lorraine left in 2013 but the others still play music festivals in England. Dad Buster Pearson died in 2012. Here's the video for Can't Wait Another Minute by Five Star.